HIT & RUN AT TOA PAYOH. PLEASE SHARE! You are at:Home»Caught In The Act»HIT & RUN AT TOA PAYOH. PLEASE SHARE! 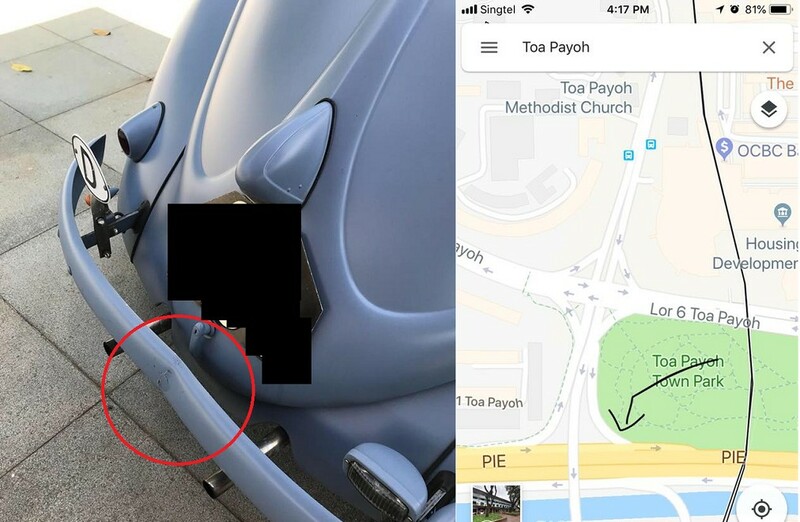 Some idiot Hit & Run on my VW at Toa Payoh PIE entry @ 3.45pm,11 Aug 2018 with my son in the car. My wife was driving and claimed that this grey car of plate number should be if never remember wrongly, SJS6628G hit from behind and sped off then after instead of stopping! Next Article TAXI REVERSE HIT WALL @ BEDOK! WALL COLLAPSED SIA! TAXI TANK?